Yesterday Phil Liggett was announcing the coverage of the Tour of California and happened to mention that there are 11 current National Champions riding in the Tour of California this week. 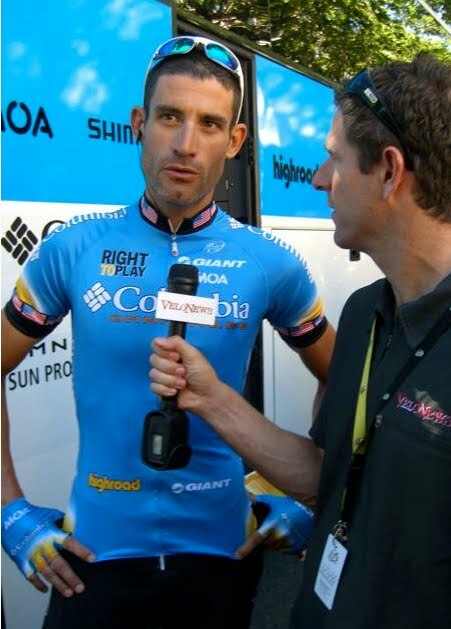 I thought it a good impetus to review the colors of professional bike jerseys. *These riders won their championships at the end of the 2009 cycling season, and will be wearing the champion jersey in 2010. Once a rider becomes a former champion the colors of his country are worn printed into the fabric on the collar and arms of his jersey. Also the National or World Champion jerseys are only worn while riding the discipline in which they were earned. 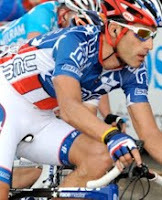 For instance, George Hincapie will wear his American National Champion jersey while racing road, but not while racing a time trial. 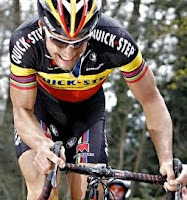 He will instead wear his team kit. 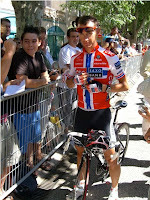 Fabian Cancellara will only wear his current Time Trial World Champion jersey during any time trial, but not during other road stages of a tour. 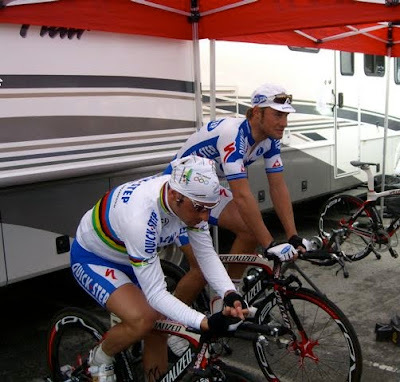 Paolo Bettini in the Rainbow Jersey of the World Champion (with Tom Boonen) at the Tour of California in 2009. 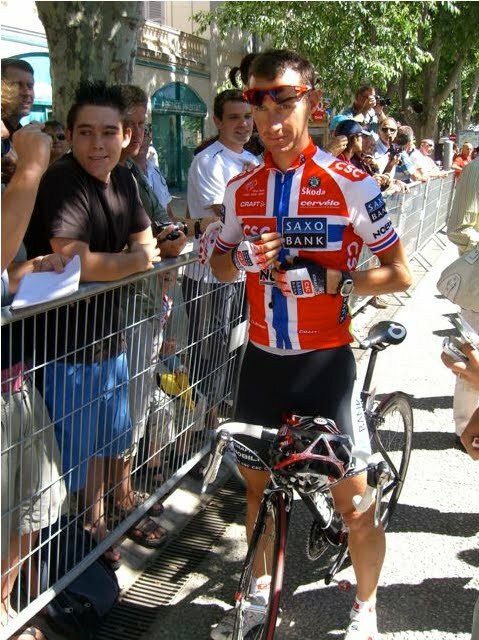 Kurt Asle Arvesen in the Norwegian National Jersey in 2008. 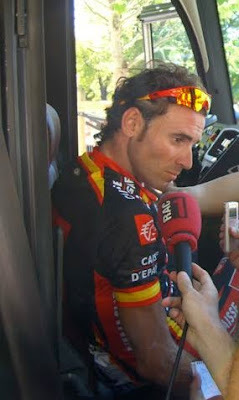 Alejandro Valverde wearing the Spanish colors (as a former champion) in 2008. 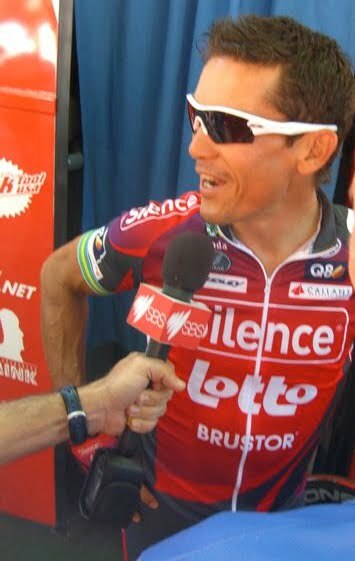 Robbie McEwen wearing the jersey of the former Australian National Champion in 2008. 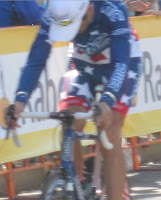 George Hincapie (2010 National Champ) wearing the former American National Road Champion flags/colors in 2008. 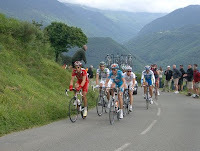 In the German National Jersey - Fabian Wegmann on the Col d'Aspin in the Tour de France in 2008. 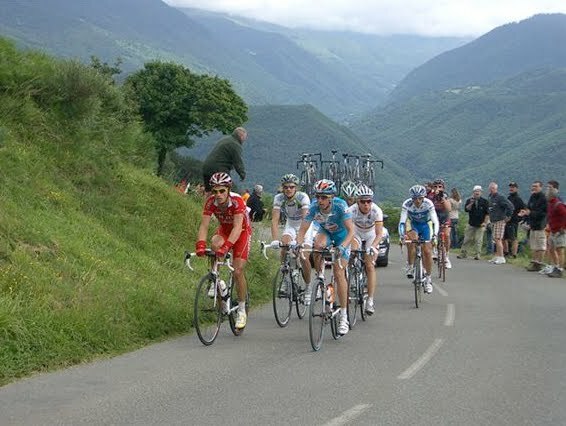 Thomas Voeckler racing the Dauphine Libere in 2007 on the Col de'Telegraphe in the Alpes, wearing the French colors.